Brian Maguire (b. 1951) is an Irish Expressionist and self-described history painter, who paints the consequences of violence and conflicts. His painting career began in the 1970s, a time which saw violent conflicts at home and abroad. 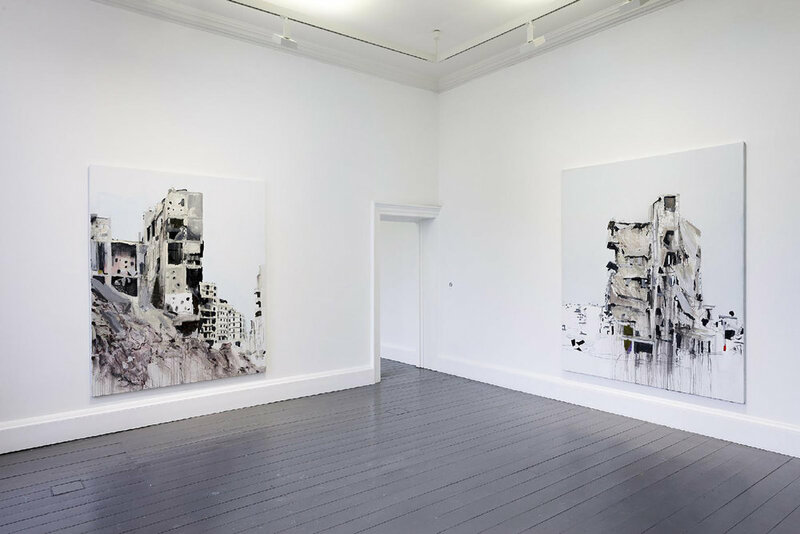 The effect of these events had a lasting impact on Maguire as his work encompasses somewhat harrowing expressionistic portraits to scenes of impoverished and war-torn areas such as Mexico, South Sudan and Syria. 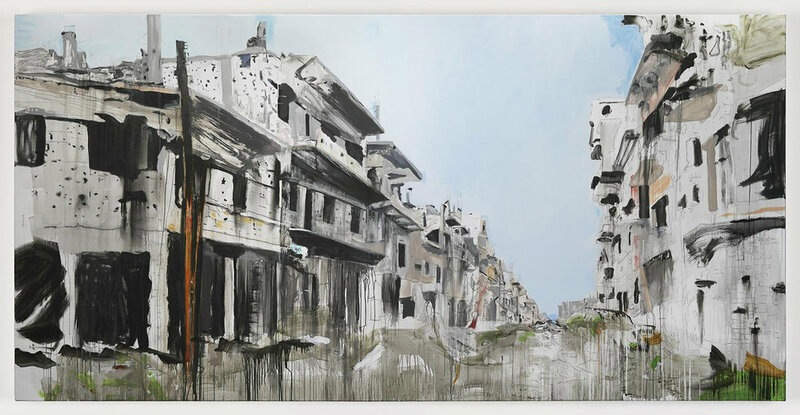 View of War Changes Its Address: The Aleppo Paintings, 2018, Irish Museum of Modern Art. Photo credit: Kerlin Gallery. Brian attended the Dun Laoghaire School of Art and the National College of Art and Design and later went on to become head of fine art at NCAD (2000—2009). He began to exhibit his work throughout Ireland in the 1980s. 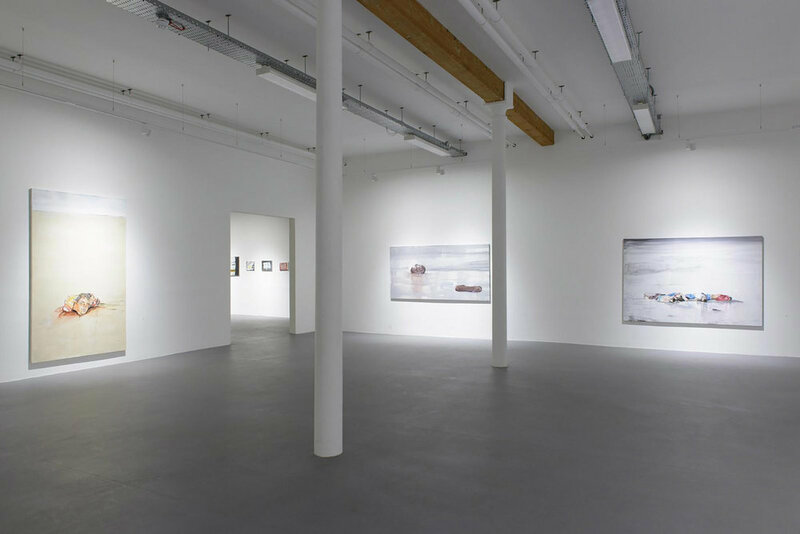 By the 1990s he was exhibiting his work in Europe and in 1998 represented Ireland in the Sao Paulo Bienal. 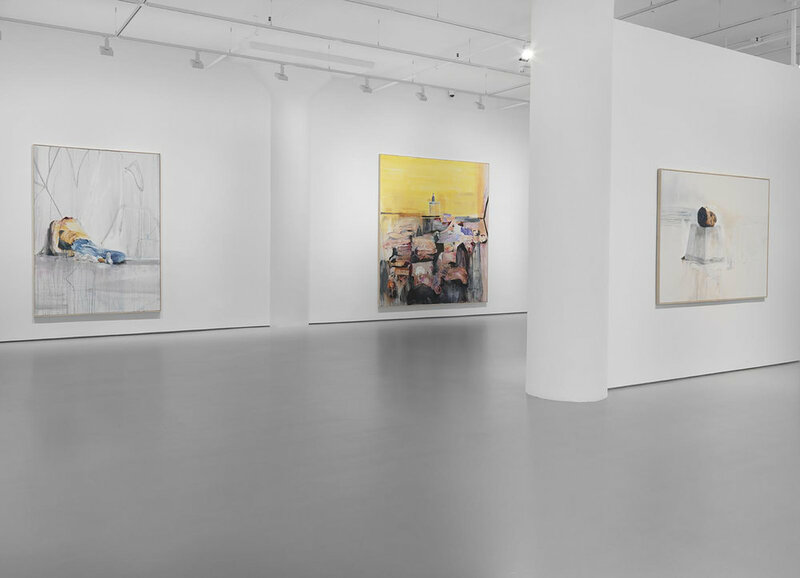 In 2000, his retrospective exhibition travelled to Houston, Texas and since then Maguire has had a presence in the Irish-American art scene. 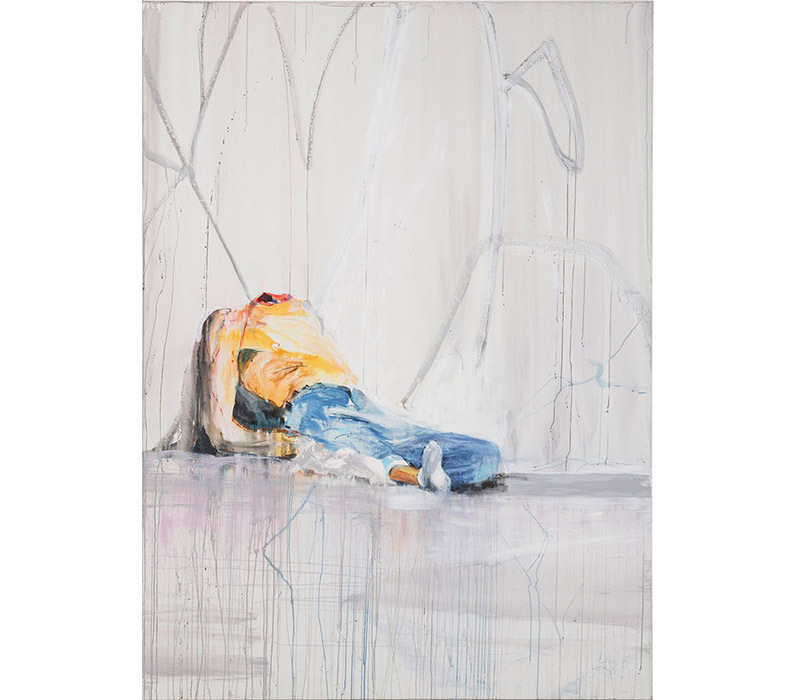 Brian’s work largely focuses on alienation, both physical and political, as a direct result of conflict. 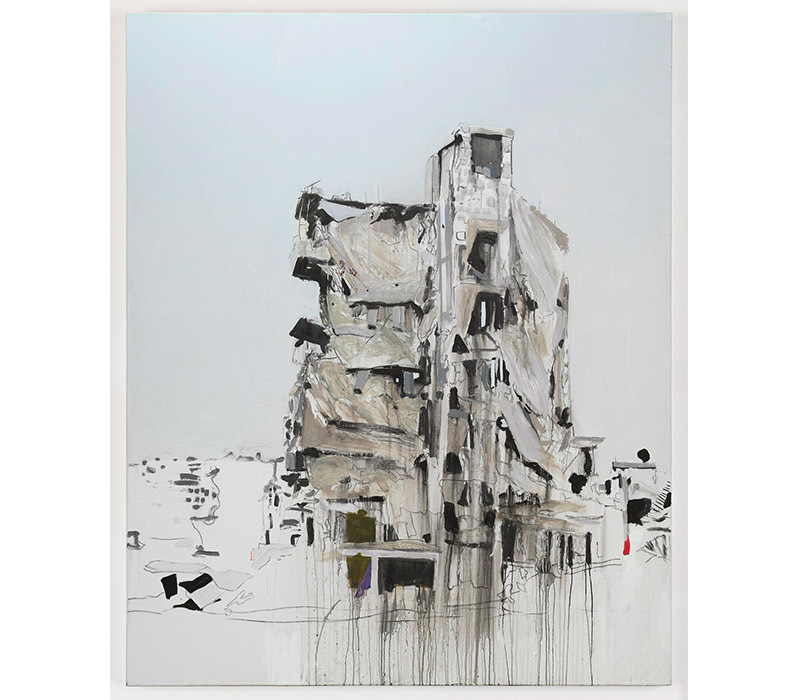 He has explored this theme in prisons, hospitals, refugee camps and war zones. Brian has been the artist-in-residence in prisons in several different countries; one such experience in a Manhattan prison led to an exhibition in the White Box gallery (2002). 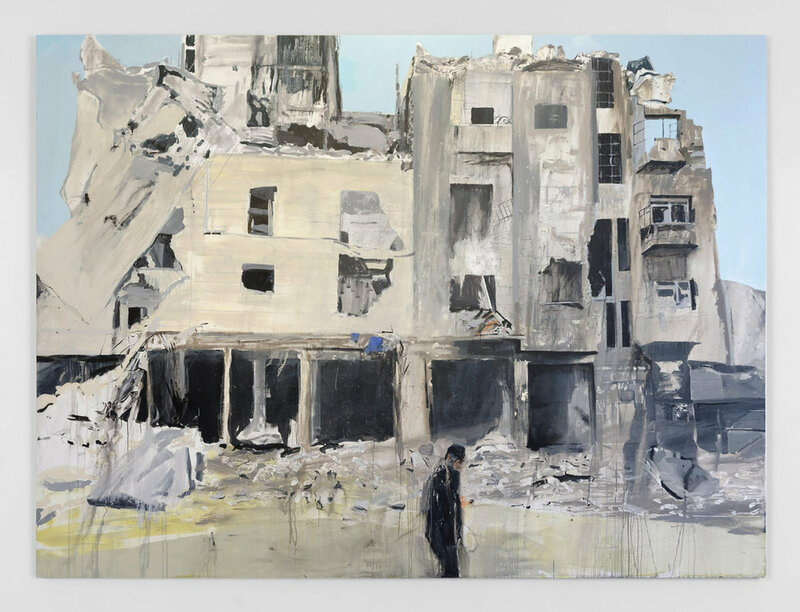 As part of his artistic process, Brian likes to immerse himself in the subject matter by travelling to specific cities and documenting the direct result of conflict on the people and the urban environment, including Ciudad Juárez (2009), Aleppo (2017) and Bentiu (South Sudan) 2018. Brian’s process of producing art is purely reactionary. He has an emotional sense of what he wants to produce which is driven by his reaction to the subject matter. He creates nonspecific portraits to evoke a specific state of mind, while the portraits he produces of specific people are informed by the history expressed in their faces. On he other hand, the paintings Brian produces of figures, are striped of any imagery which identify a time, place or contextualise the figure. Brian is removing any prejudices and preconceived notions that the viewer may have relating to the subject matter and in turn leaves only a figure for the viewer to comprehend with the intent that they have a more personal connection with the work. His landscapes are driven by the memory of the place in question. He then continuously produces layers of shapes and colour in reaction to one another until the artwork is finished. Brian lets the medium itself be a commentary on the subject matter, as he layers, scratches and drips the paint on the canvas. One principle element in his work is that which is not portrayed, as he strives to depict the image in his mind's eye with as few forms as possible. Brain’s legacy will not only be seen in the artistic quality or political impact of the works he produces but in the people throughout the world who he encourages, facilitates and influences with his work and his teachings. While head of Fine Art at NCAD, Brian brought in the notion of placement for art students which he saw as providing context for people who already had the capacity to make work. Brian applied this same principle again when teaching prisoners to paint, one such former prisoner has now become an artist in their own right: Eddie Cahill. While Brian travelled to several conflict stricken cities such as Bentiu with Concern, he conducted art workshops for children. He did the same in Juárez for the children of the subjects of his paintings ‘The Murdered Women’. In most cases this this was the first occasion were any of the children had painted before.